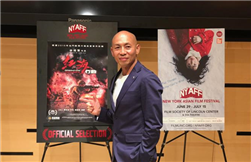 Operation Red Sea, an anti-terrorism action film directed by Wuchuan native Dante Lam, earned eight nods at the 39th Hong Kong Film Awards. 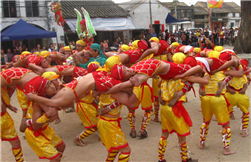 The Donghai Human Dragon Dance performed by the Zhanjiang Human Dragon Dance Troupe earned the 10th Guangdong Lu Xun Literature and Art Award on Jan 17. 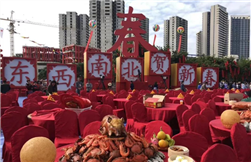 "New Year of East, West, South and North China", a scaled-down version of the Spring Festival Gala, was recorded in Zhanjiang on Jan 15. The Xuwu Lion Dance Troupe from Suixi county took gold at the International Lion Dance on Stilts Competition held in Malaysia from Dec 26 to 31. The Suixi Lion Dance, a national intangible cultural heritage item of Zhanjiang, will be featured in Local Records in China – a CCTV full-length documentary. 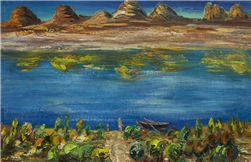 After touring the United States for 40 days to sketch wild landscapes, artist Zhou Changxin created 37 oil paintings, depicting the magnificent mountains and rivers of the United States. 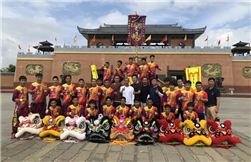 Two teams sent by Suixi Longwan Dragon & Lion Dance Troupe stood out from 12 peers from the United States, Britain and Malaysia, winning gold and silver medals at the 1st International Lion King Contest. The Suixi Longwan Lion Dance Troupe has been invited to perform with Chinese kung-fu star Jackie Chan at the opening ceremony of the 4th Jackie Chan Action Movie Week.